MPs may need to work longer and lose their February half-term break if Brexit is to be delivered on time. The government is to consult Parliament on what extra hours will be needed to get its legislation onto the statute book before the planned 29 March exit. Theresa May will seek backing for her deal in another Commons vote on Tuesday. Commons leader Andrea Leadsom described bids by MPs to prevent a no deal as a “thinly veiled attempt to stop Brexit”. Writing in the Sunday Times, she said this would be an act of “constitutional self harm”. The UK is due to leave the EU at 23:00 GMT on 29 March, and the prime minister has faced repeated calls to rule out the prospect of leaving without a deal if no agreement can be reached. Ms Leadsom had earlier expressed “grave concerns” about a bill, proposed by Labour MP Yvette Cooper, which could extend Article 50 – which triggers the UK’s withdrawal from the EU – by nine months, unless the prime minister can secure a deal by the end of February. In the Observer, her cabinet colleague David Lidington said he understands why MPs are worried by the prospect of no deal – but urged them to look at Mrs May’s revised plan before deciding whether Brexit should be delayed. Mr Lidington, who last week held discussions with opposition MPs, said: “We must keep our focus on the only real way to rule out no deal – and that is to find common ground on a deal”. On 15 January, the withdrawal deal Mrs May negotiated with the EU last November was rejected by MPs by a historic margin – 432 votes to 202. BBC political correspondent Iain Watson said the government’s demand to extend the parliamentary day was a way of Mrs May sending a signal to MPs that she intends to stick to the planned March departure. 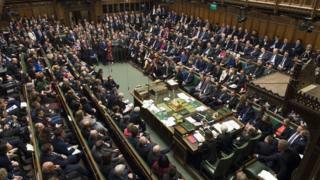 The House of Commons recess between 14 and 25 February could be cancelled, and MPs would be asked to start earlier and finish later on days they sit. Opposition and backbench MPs have been tabling amendments to the PM’s motion in a bid to force the government to change direction. It will be up to Speaker John Bercow to select amendments to Mrs May’s plans to put to a vote. Among them are the amendment from Conservative MP Dominic Grieve, who will ask the government to consider a range of options over six full days in Parliament before the March deadline, while the Lib Dems will be calling for a “People’s Vote” – another referendum. Conservative MP Andrew Murrison’s amendments aim to win round moderate opponents of the backstop arrangement. by making it time-limited. 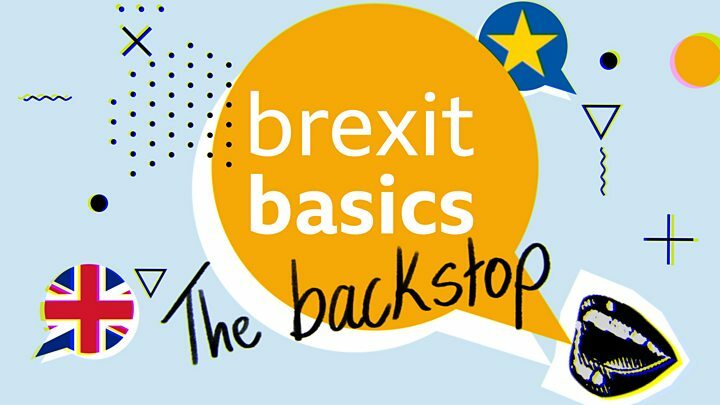 Media captionReality Check unpacks the basics of the backstop. The backstop plan – a fallback position to avoid the return of customs checks at the Irish border if the UK fails to agree a deal with the EU – is a major sticking point for opponents of Mrs May’s withdrawal agreement. Critics claim the arrangement would separate Northern Ireland from the rest of the UK by keeping it more closely aligned to EU rules.